This is not “aristoism” as usual; it’s a new and destructive wave of extramarital affairs almost becoming a societal norm. According to the word web dictionary, the standard definition for an uncle is: “The brother of your father or mother; the husband of your aunt”! Here in Nigeria though, this role is taken up by almost everyone; as long as he is older than you, and you can’t call him by his first name, he becomes “Uncle…” I have however never come across a situation where an absolute stranger tells me, “I want to be your uncle”, and in this case “uncle” obviously means something else entirely. Unfortunately for me, the cashier didn’t roll out my receipt, and since our bills were now together, I would not be allowed to leave the shop without it. So I was stuck with waiting for ‘Mr. Benevolence’ to pay for his goods. That of course led to more conversation…the typical “what’s your name, can I have your number…”. At this point I thought, “Because you paid a bill of N1300, now you think I’d give my life history? SMH.” Mr. Benevolence had almost bought the whole shop and he had about 6 nylon bags. I decided to help him carry some of the items to his car. That was where the real drama began. His words changed to, “I like you, I’d like to see you again… “As we approached his car, I notice a baby car seat and upon inquiry I realized Mr. Benevolence is a husband and father (I had already checked out his hand but it was “ring-less”). This must be a Nollywood flick, I thought. Uncle??? What exactly does that mean? (He doesn’t even look old enough to be the “uncle” type). I reply, “I’m sorry I already have unclesssss.” He answers, “Not that kind of uncle. I’m sure you know what I mean.” Then he drops the bomb: “I’m going to Ghana next week, will you come with me”. At that point I was so irritated, I just stormed off. But this scenario makes me question what our society is turning to. I have heard countless other stories like this. People keep talking about this issue of infidelity and they say it’s the girls that are chasing married men. Yes that happens, but even the men seem to want to be chased. I wonder, aren’t today’s couples content with one another? Or the older the marriage, the thirst for young blood is desired? Is this about men wanting to conquer more territory? Or are they dissatisfied with the wives, unhappy, or just plain confused? To think that we are not even ashamed or discreet about these things anymore, for all Mr. Benevolence knows I just might know his family members or something, but he doesn’t care, he doesn’t even wait to find out if I’m ready to tango, he just makes his intentions known regardless of what I think. For me the question is what is going wrong? I have no answers; I guess I’m just a concerned citizen. 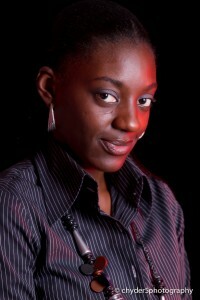 About the author: Toyin Fajj presently works as a Content Developer, TV Producer and Charity Organiser. Her passion lies in seeking to improve her society positively. Thank God u knew, and took d right action. If only all ladies would too. I found myself in a similar situation and, it is not always funny. Thank God u knew, and took d right action. If only all ladies would too. This is very shameful. This polygamist attitude! Is it that the wives are not taking care of them or that the wives take them for granted? What's our society turning into? He did not even hide the fact that he was married! This just suggests a problem with Mr. Benevolence! Let them leave the young girls alone and pray, learn and live with their wives! Nothing is going wrong. This didn't start today neither will it end today………. Y'all need to write about something else.